Catherine Bellver was born in Chicago, Illinois. After earning her doctorate degree from the University of California in 1972, she immediately joined the faculty at the University of Nevada, Las Vegas. As a faculty member in the Department of Foreign Languages, Dr. Bellver first joined the Women’s Studies steering committee in 1979. In the following decade, the committee oversaw the formation of the Women’s Studies Program, including: procuring administrative and faculty support, creating bylaws and course criteria, critiquing proposed cross-listed courses, and selecting course offerings. During that period she also worked with a volunteer group to create and staff the first Women’s Center on campus. In the early Nineties, she played an instrumental role in the presentation of four public colloquia that addressed key issues pertaining to women. Dr. Bellver acted as interim director of the Women’s Studies Program while overseeing the search for a permanent director. She continued to remain involved with the Women’s Studies program, serving as faculty member on several committees. She has also worked in the Women’s Caucus on the regional and national levels of the Modem Languages Association. Dr. Bellver is currently Distinguished Professor of Spanish in the Department of Foreign Languages at the University of Nevada, Las Vegas. 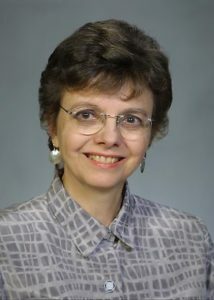 Her work has appeared in journals such as Anales de la Literature Española Contemporánea, Hispanic Review, Hispanófila, Insula, Journal of Interdisciplinary Studies, Monographic Review/Revista Monográfica, Revista de Estudios Modernos, Revista Hispánica Moderna, Romance Notes and Romanic Review. Dr. Bellver’s participation in the creation of the Women’s Studies Program illustrates how critical institutional and social progress can result from the commitment of a determined group of individuals. Her decades of involvement in creating an academic arena for the study of women and gender issues underscores the significance of women’s contributions to the history of Las Vegas.